Anne Hutchens and Dottie Carter sang with another group for about five years until that group disbanded in January, 1982. Anne and Dottie prayed about continuing on, and the Lord led Anne’s brother, Fred Bame, to join them as a trio. The Lord provided them with their first PA System, which they purchased from another group that was moving out of town. The next step was to decide on a name for the group. Dottie’s mother suggested a name, and “The Joyful Sounds” were formed. 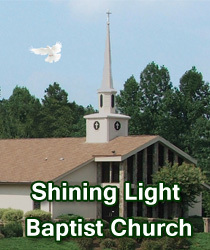 Their first official singing was held at Sophia Baptist Church in February, 1982. Fred Bame was a faithful part of The Joyful Sounds for thirteen years. In 1994, Fred informed Anne and Dottie that due to some health problems, he was going to have to step down from singing with them. Anne and Dottie did not feel that the Lord was finished with the group. So, they began praying for the Lord to provide someone to join them. 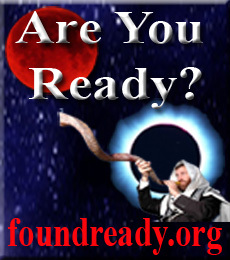 Anne and her husband were visiting in a revival meeting one evening where Rev. Rayton Puckett was preaching. Bro. Rayton’s grandson, Brandon, was also in the service that evening. Anne had known Brandon for many years, and Brandon sat down beside Anne that night. While singing congregational songs that evening, Anne noticed how well Brandon sang and harmonized. She asked Brandon if he had ever thought about singing in a trio, and asked him to pray about whether he would like to try out with The Joyful Sounds. Brandon Puckett joined the group after Fred left in 1994. He sang with the group until 1999. At that time, Brandon informed Anne and Dottie, that his job was causing him to move to South Carolina. Anne and Dottie again felt that the Lord would have them continue on, so once again they began praying for God to provide. Anne’s niece, Stacy Bame, had just graduated from Bob Jones University. Stacy was the daughter of Fred. Anne and Dottie prayed about asking Stacy to join the group, and when Stacy was approached, she said yes. She joined the group in 1999. This was going to be a new venture for Anne and Dottie, because the group had always been a mixed trio. The Lord continued to bless the group with Stacy as the new member. Stacy got married about two months after she joined the group. About a year later she found out she was expecting her first child, and not long after that she informed Anne that she did not feel that she would be able to continue traveling with the group. So, in 2001, Stacy left the group. When Stacy had informed the group that she was going to have to step down, Anne and Dottie found out that Brandon had moved back to Greensboro. Brandon asked Anne about rejoining the group. Anne and Dottie had prayed about continuing on, and felt like this was God’s answer to their prayer. So, Brandon Puckett rejoined the group in 2001. After being back with the group for several more years, Brandon met a young lady and got married. They had their first child three years after that, a beautiful little girl. After the baby was born, Brandon decided he would like to take a couple of months off to help out with the baby. During this time, Anne and Dottie had Tim Bradshaw filling in for Brandon. Tim was a member of their church, Shining Light Baptist. For the next several months Tim filled in while; they found out later, Brandon was praying for the Lord’s direction in his life. In January, 2008, Brandon informed Anne and Dottie that he felt like the Lord would have him step down from the group and spend more time with his family. Brandon had been a blessing and a faithful member of the group for 11 years. After Brandon stepped down, Anne and Dottie; one more time, began praying about what direction God would have the group to go. Tim had been filling in when Brandon could not go for about five months, and he had done a tremendous job. Anne and Dottie felt led to approach Tim about becoming a part of the group. Tim graciously said yes, and in January, 2008 Tim Bradshaw became an official member of The Joyful Sounds. 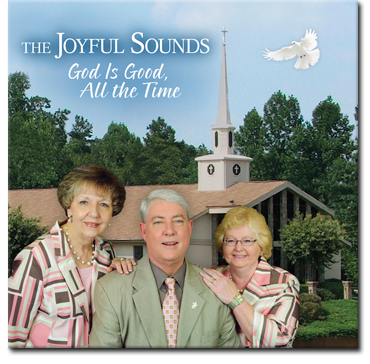 Anne and Dottie are so thankful for the way the Lord has blessed The Joyful Sounds through the years. He has always supplied the need, and had someone in place when a member felt the need to leave the group for whatever reason. They praise the Lord for His goodness and leadership over the last 27 years. The Lord is still continuing to bless and provide for the group’s every need. The group has recorded 16 projects. They have consisted of Oh What A Promise, A Little Girl’s Prayer, Songs of Yesterday and Today, At Home With The Joyful Sounds, Joyful Sounds, Singing His Praises, That Heavenly Home, He’s My King, Treasures, What A Wonderful Time, Praising Him, No Need To Doubt Him Now, One More Time, Let Us Sing, The Joyful Sounds Of Christmas and their latest project titled God Is Good, All The Time.